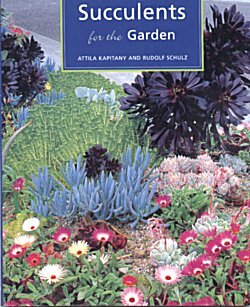 This book is written from the point of vew of the use of cacti and succulents in outside gardens in the drier mediterranean climate areas of Australia and New Zealand but would be equally applicable to similar climates anywhere in the world. The book is lavishly illustrated with good colour pictures which well illustrate the colour and architectural qualities which cacti and succulent can bring to the garden. It also provides plenty of ideas for garden design making use of these plants including the use of containers of various types. Specific species are illustrated and recommended for particular garden situations.